Boutique Penthouse is the latest addition to the exclusive Amalfi Vacation collection, and its location just steps from Minori’s beach is ideal for those who dream of a holiday that combines leisurely days at the seaside with the charm of staying in the heart of an historic Amalfi Coast fishing hamlet. 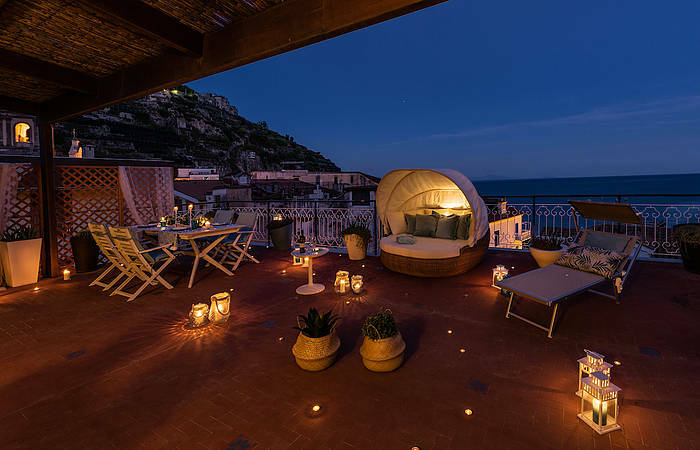 What sets Boutique Penthouse apart is its sweeping terrace that is divided into two areas: one side boasts a direct view of the Mediterranean Sea off the coast of Minori while the other looks over the village rooftops of Minori to the mountain peaks above, where you can catch a glimpse of Ravello on the clifftop. 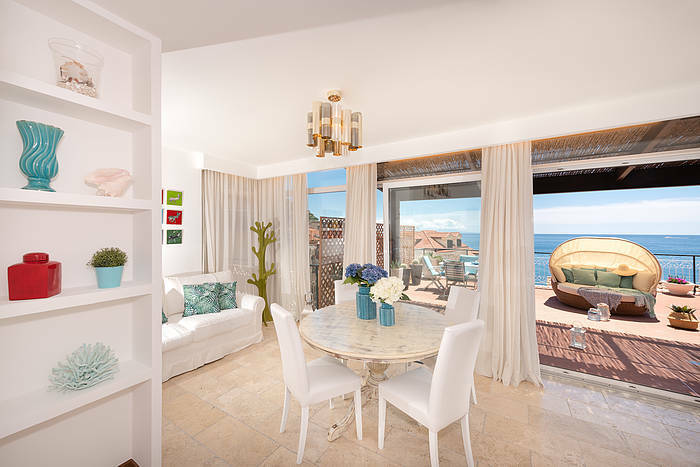 Unwind on your private seaside terrace, furnished with a comfortable dining set and sun beds. 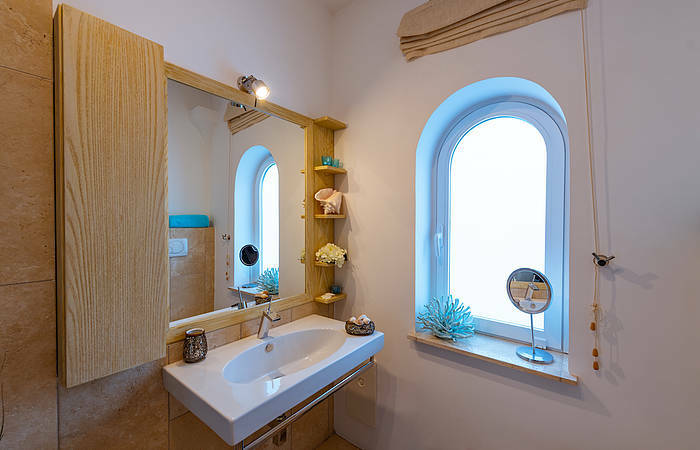 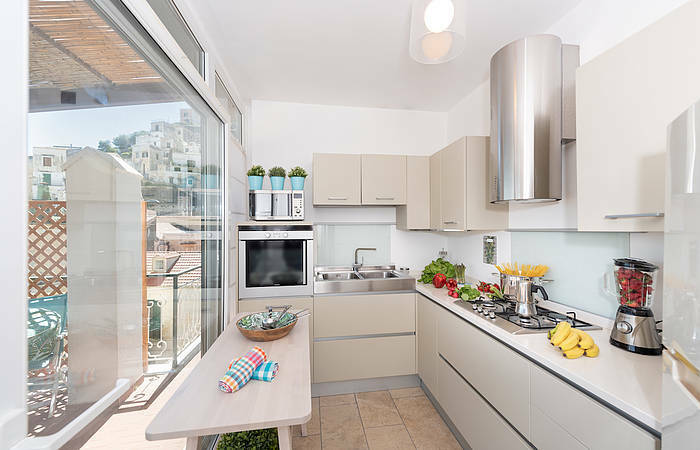 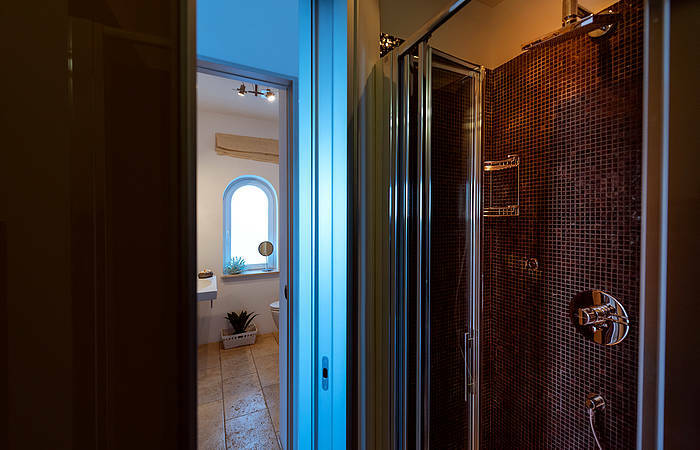 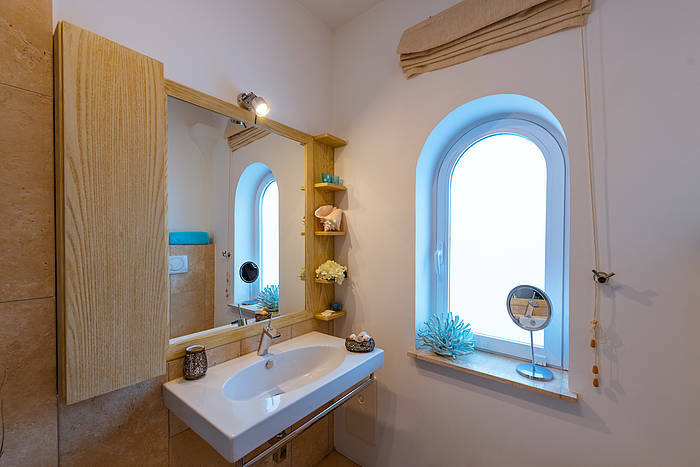 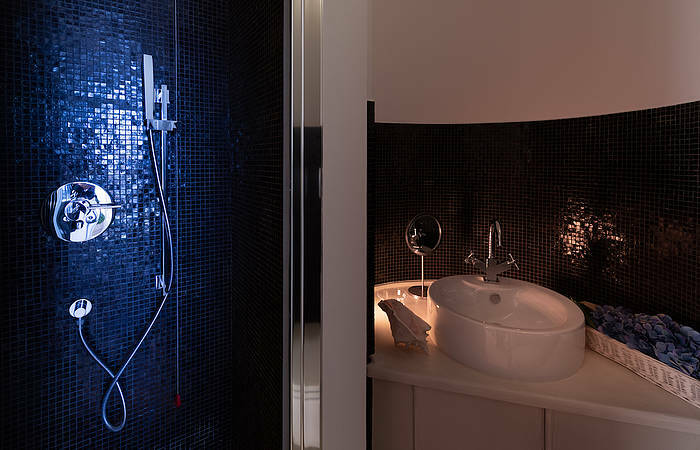 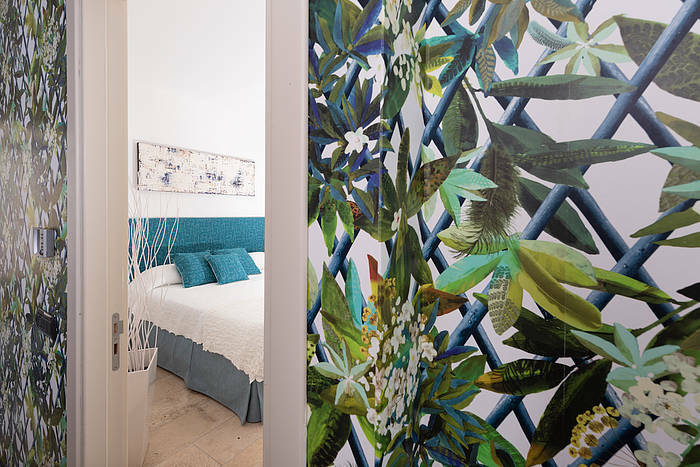 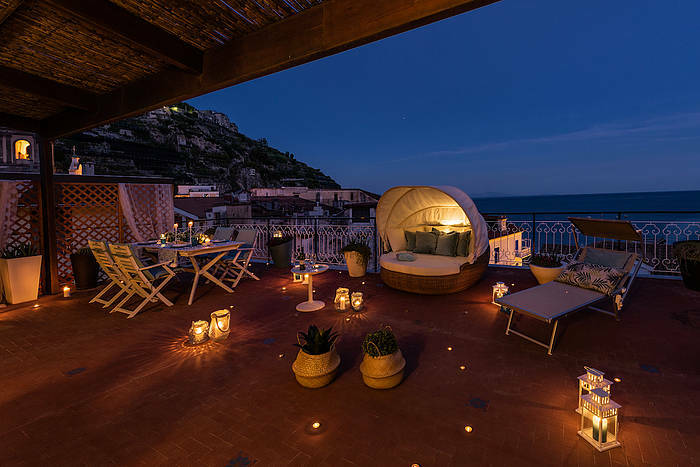 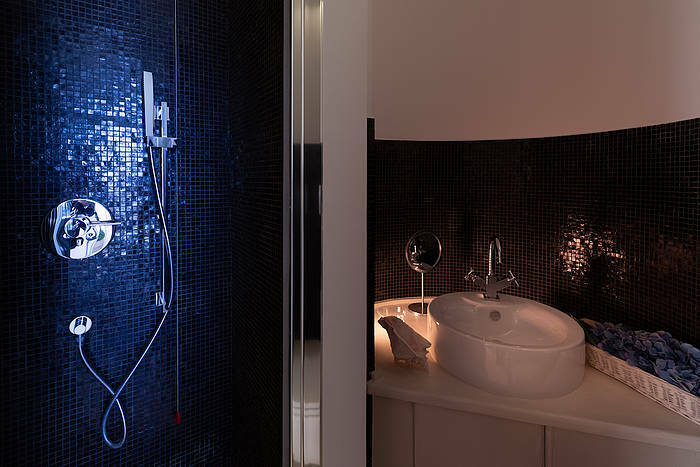 Once you settle in, you’ll find it hard to leave Boutique Penthouse in the picturesque center of Minori! 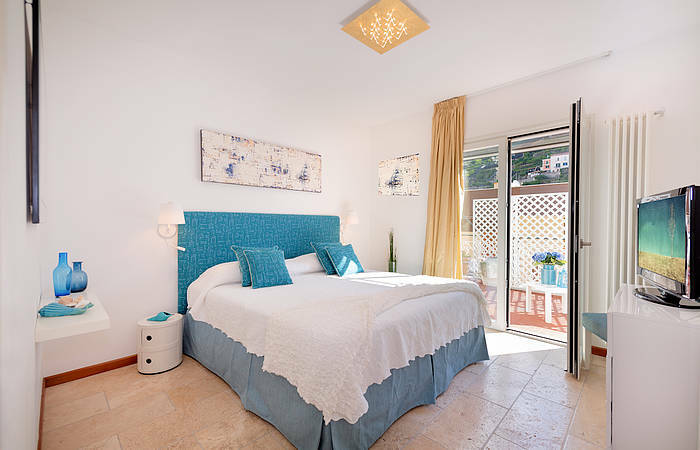 This elegant flat has two double bedrooms, each opening directly onto a small shared terrace. 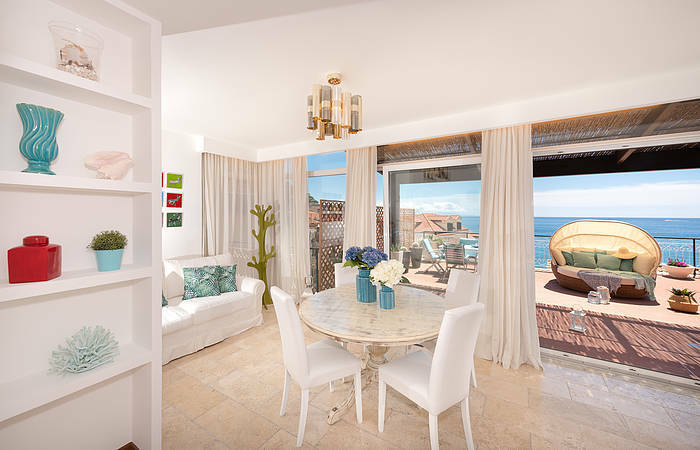 The sofa bed in the living room that can accommodate 2 more guests. 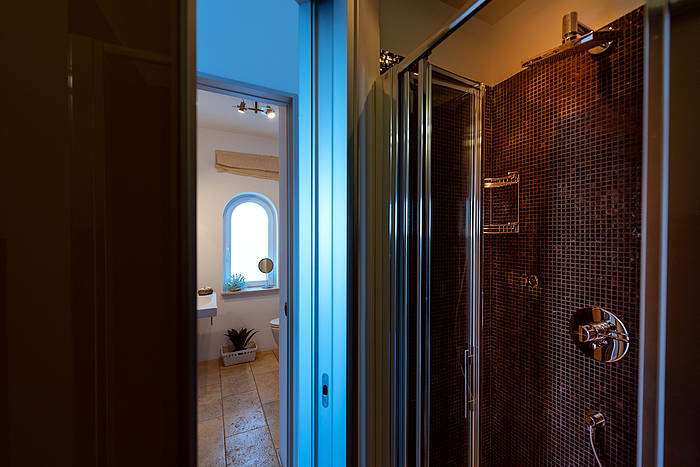 There are also two bathrooms opposite each other, both with a shower. 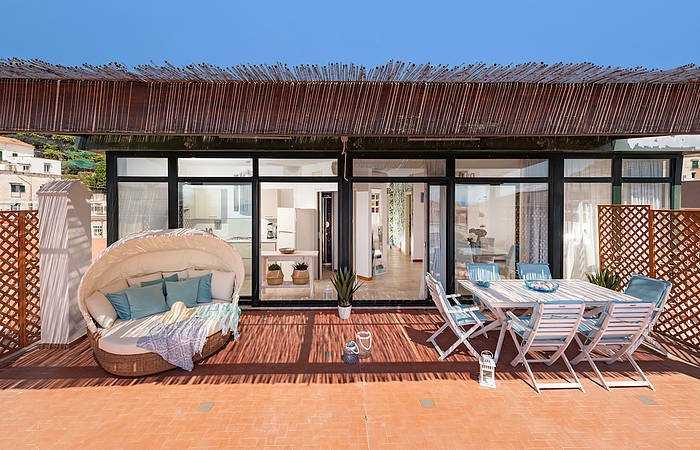 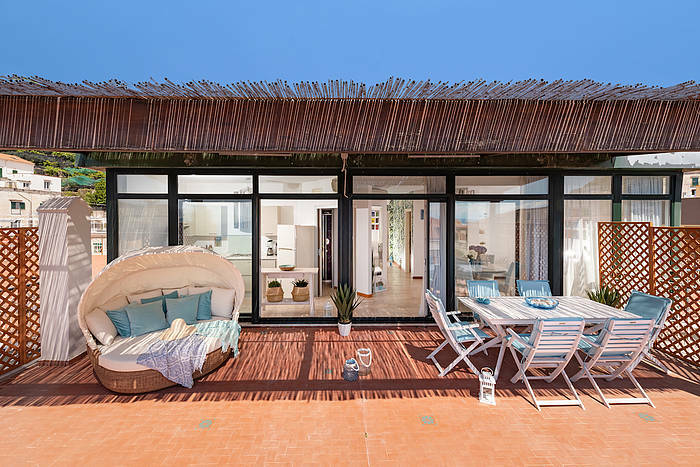 The living area is an open space that includes a modern kitchen with a dishwasher and elegant living room with a TV and stereo system, both with direct access to the main terrace that becomes an outdoor living area in the summer months, perfect for al fresco dining and relaxing. 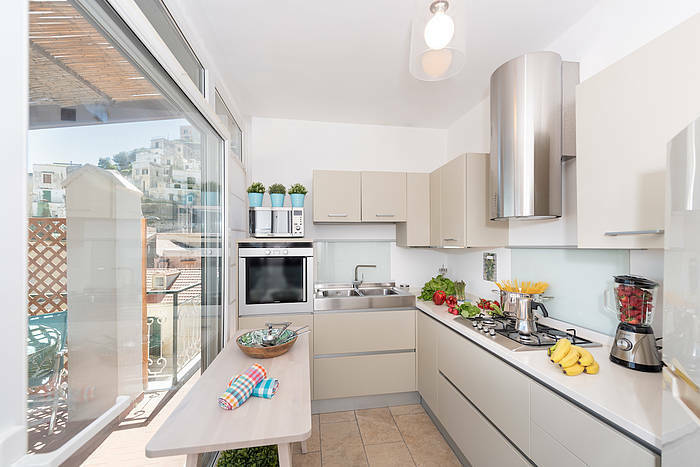 The apartment also has air conditioning and heat, wifi, and a washing machine, particularly convenient for longer stays. 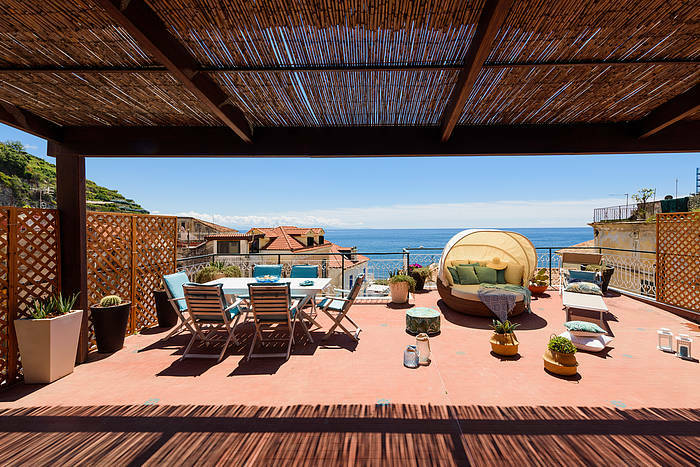 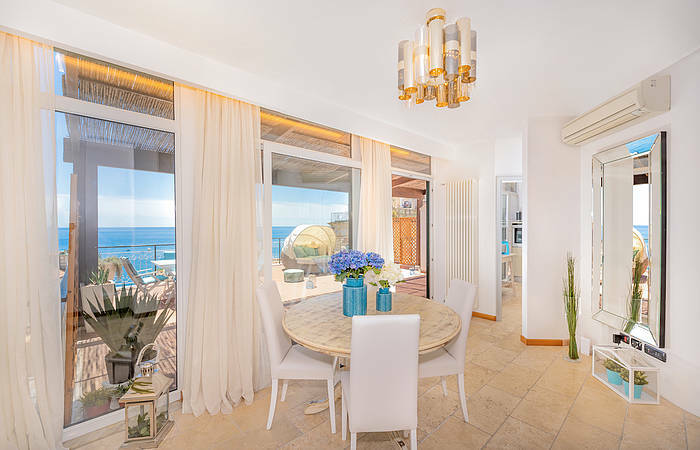 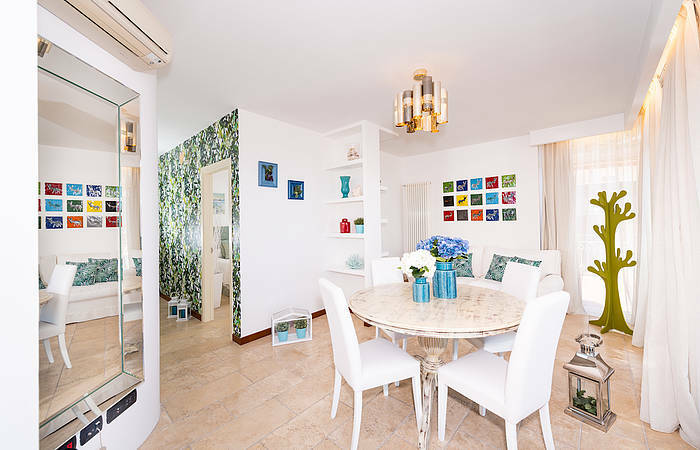 Boutique Penthouse is set just 30 meters from Minori’s beachfront, and the village’s restaurants, delis, bars, and cafès are all steps from the front door. 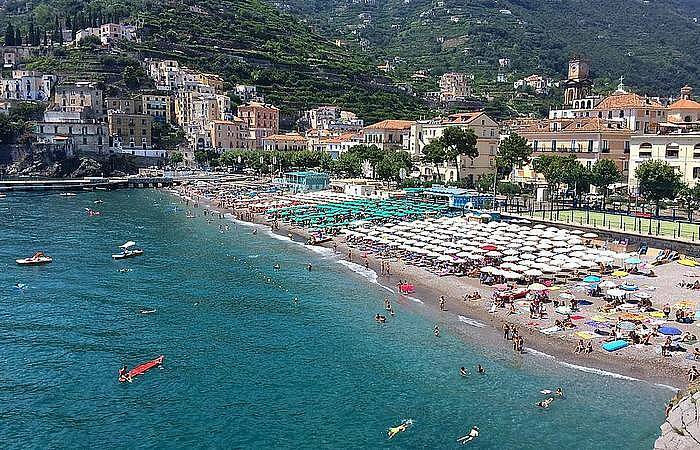 If you are arriving by car, there is parking available at EUR 20/day (EUR 25 for minivans). 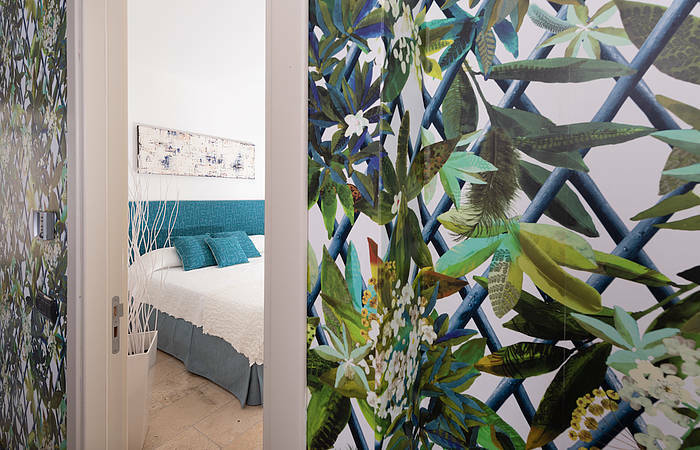 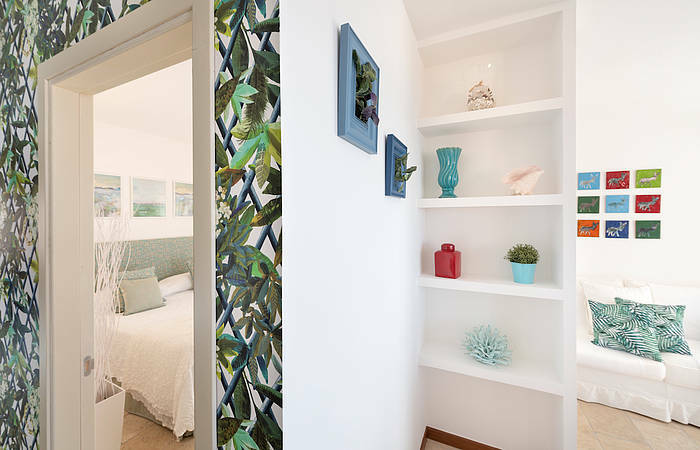 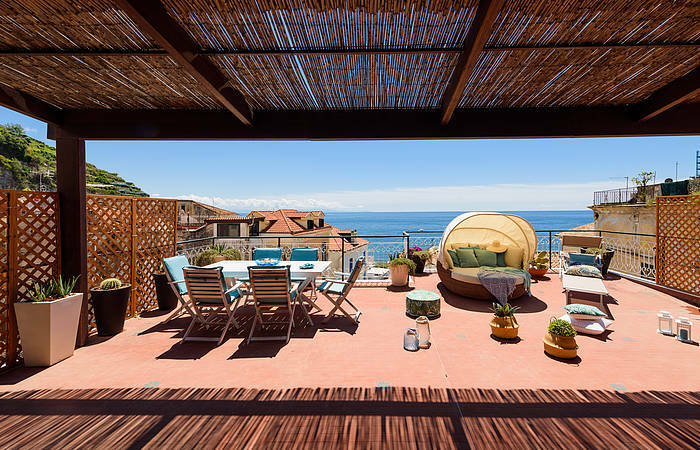 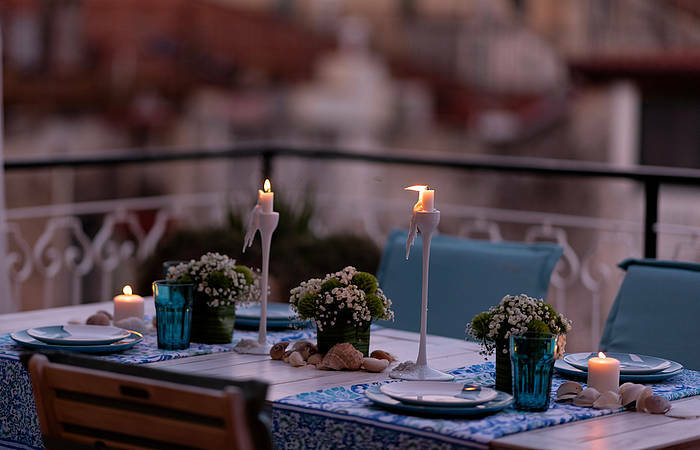 Boutique Penthouse is located in the center of Minori, one of the most charming fishing hamlets on the Amalfi Coast. 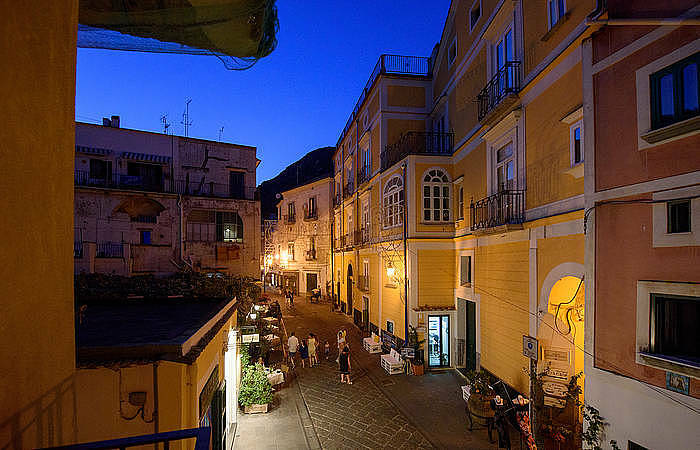 You can see the sea and coastline of Minori just 30 meters away from your private terrace, and there are shops, restaurants, and bars in the center of Minori. 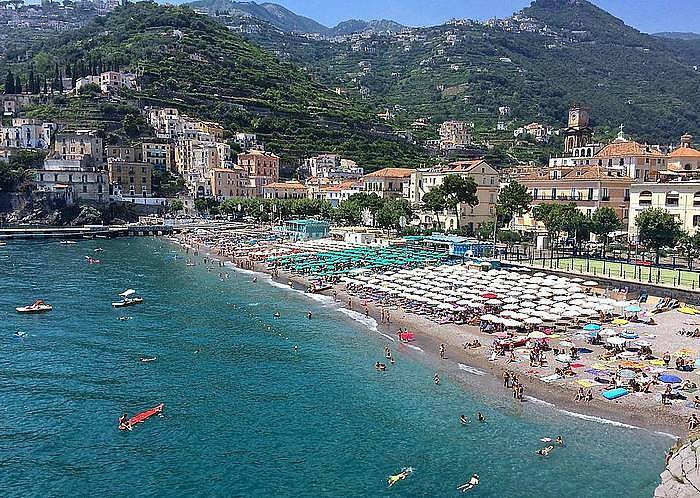 Minori is one of the most beloved villages on the Amalfi Coast, due to its charming center, mild climate, excellent restaurants, and, most of all, spacious sandy beach. 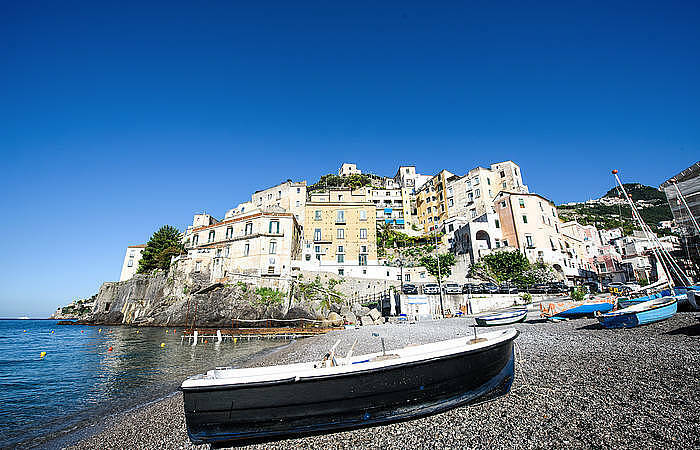 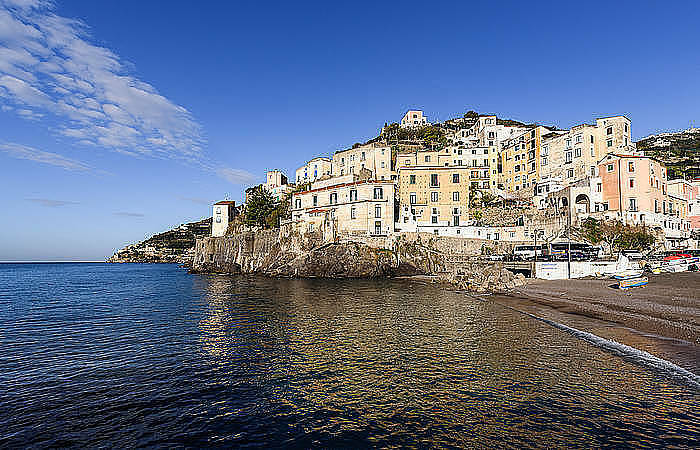 Amalfi is located 2.4 miles from Minori, a mere 10 minutes by car, bus, or taxi.